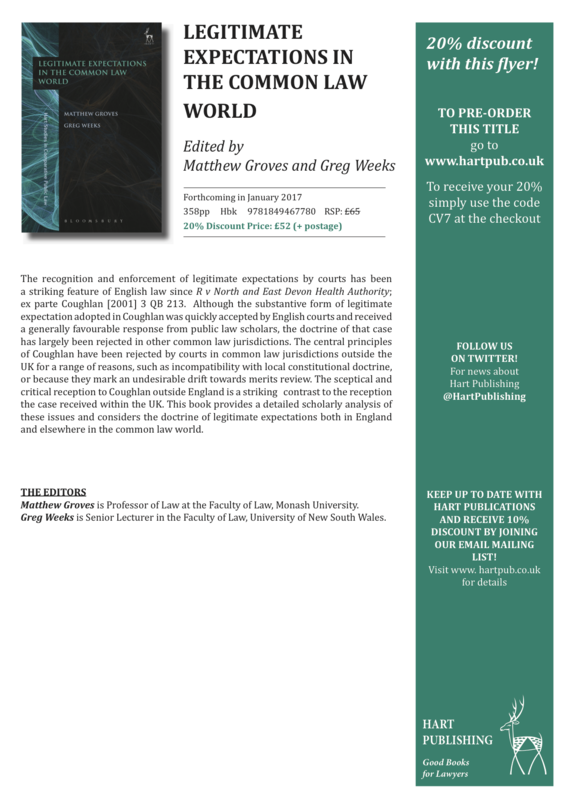 Dear Lorne Sossin and Sas Ansari have co-authored a book chapter in Legitimate Expectations in the Common Law World, entitled “Legitimate Expectations in Canada: Soft Law and Tax Administration”. The Chapter examines the current state of the administrative law doctrine of legitimate expectations as applied to the Canada Revenue Agency’s administration of tax legislation. It provides a complete overview of the doctrine, its application as supported by Canadian law, and the areas for further exploration and expansion. Of interest to professionals who deal with the CRA (or other administrative agencies). Previous PostPrinciples of Rectification in the Canadian Tax Context – Sas AnsariNext PostDiscovery Questions in Tax Court Appeals – Proper and Relevant?